Does Your Willpower Support Your Well-Being? The next time you find yourself “too tired” to exert self-control, challenge yourself to go beyond that first feeling of fatigue. 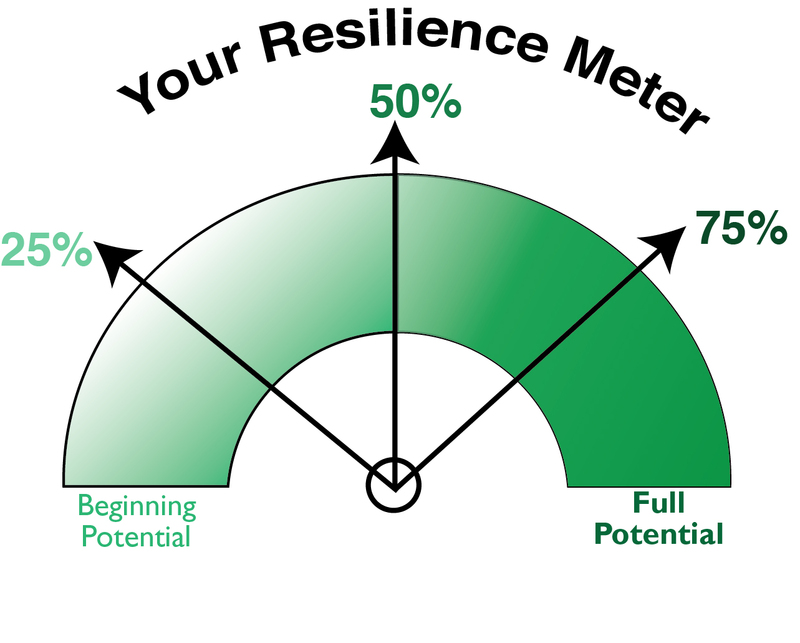 The Willpower Instinct, Kelly McGonigal, Ph.D.
Here’s a quick quiz, to give you perspective on your current well-being. Do you like your life and smile often? Are you reasonably happy with your weight and other health-oriented decisions? Are you aware of something important to you that’s bigger than you? For some this is met through religion or spirituality, for others it’s science or community service. Do you invest in building strong social connections? Are key economic factors in place for you and your family, especially food, housing, and transportation? A resounding yes to all is the desired state, but we’re on planet earth, right? So, we might say: “My weight isn’t bad, but I’d like to lose 10 pounds and exercise more.” “My work is productive but takes so much of my time that social connections suffer.” And so on. A life well lived is one that focuses on continuing to experience well-being in accordance with our evolving needs. This article will address some of the ways we can strengthen our willpower muscles to expand our well-being. Well-being is a broad, life encompassing concept. Willpower is a powerful strategy for conducting our lives in a way that promotes well-being. Well-being is a positive outcome that is meaningful for people and for many sectors of society, because it tells us that people perceive that their lives are going well. Good living conditions (e.g., housing, employment) are fundamental to well-being. Tracking these conditions is important for public policy. However, many indicators that measure living conditions fail to measure what people think and feel about their lives, such as the quality of their relationships, their positive emotions and resilience, the realization of their potential, or their overall satisfaction with life—i.e., their “well-being.” Well-being generally includes global judgments of life satisfaction and feelings ranging from depression to joy. The ability to control our attention, emotions, and desires – and influences our physical health, financial security, relationships and professional success. Here are some strategies for tapping into your willpower in ways that enhance your well-being. We strongly recommend Kelly McGonigal’s book, The Willpower Instinct! The ideas below are influenced by her work. Choose one area where you’d like to improve your life. Conduct a reality check, be sure that it’s viable for you given everything else happening. Your emotional intelligence skills of Self-Awareness and Impulse Control are vital to engaging your willpower. As McGonigal says, “When we [combine these skills] we will find the willpower and the want power to do the harder thing.” (p. 28) Humans have the gift of being able to observe ourselves and even to predict what we will do and the likely outcome if we’re willing to exercise our skill (or not). Once you activate your awareness your question is will you engage your Impulse Control so you further that willpower goal and improve your life? We know this can be hard so let’s look at steps to build your skills. Develop improved self-awareness. One way to do so is by committing to notice your responses when a certain type of event (you choose) occurs. Write down a few notes so you can keep track, and do this until you have a good idea of what to change to meet that new life goal. Integrate your self-awareness and impulse control through a Pause and Plan strategy. As McGonigal points out, this is vastly different than fight or flight. Pause and plan is based on slowing down, being aware, considering various outcomes and making a considered decision. Whether you want to improve your weight, exercise more, quit smoking or be more pleasant with your family, using the powerful emotional intelligence skills of Self-Awareness and Impulse Control so that you have the time and awareness to engage the Pause and Plan strategy will help you meet your goal. Authentic success begets peace of mind because you are living and working in accordance with your values, strengths, and your sense of purpose instead of living in conflict. Reaching this highly desired state requires personal awareness. Without it you will be missing the joy from your current wealth by only focusing on what hasn’t happened. Happiness and optimism, both components of emotional intelligence, are vital to experiencing authentic success. The following 10 Actions are based on years of research in the fields of emotional intelligence and positive psychology and set forth choices you can make to change the quality of your life in 2014. Action: Happiness is closely tied to being aware of what success truly means for you. Write your own definition of what Authentic Success means to you and intend to live in synch with your truth about Authentic Success in 2014. Authentic success combines your inner and outer strengths, though integrating these two is not always so easy. Good luck on your journey. We’re always interested in learning from you about how this works. 1. Be aware. Notice what is happening so you can choose how you are involved. Breathe deeply to benefit from adding oxygen to your brain, to your heart and to feel calm and resilient. 2. Apply Intention and Attention. Form your intention so you know specifically what you want to accomplish and how. Then decide what steps in the process you will pay attention to in order to keep yourself on track. Intend to collaborate, which means intend to work together, to listen and to respond in order to accomplish your goal together. Clarify your own purpose and goals; this is not a process you can accomplish on auto-pilot. 3. Commit to the process. Collaboration takes time, energy and patience. If you’re hesitant about using the process you’ll hold back, be protective of “your” information or rush through the process. One way or another without commitment you are most likely to minimize the potential for success. You may end up feeling annoyed or antagonizing others or both. 4. Attend to others. Create a foundation for engagement by creating a personal connection. It’s out of little personal discussions where you find you have things in common that form the basis for trusting one another. You might find you both have daughters who sell Girl Scout cookies or you might both climb 14,000 foot mountains. Continue paying attention to other participants throughout the process. Often there is a valuable message behind the specific words someone is using; paying attention will help you discern the real message. 5. Mutually establish goals and other criteria. Be sure you are headed in the same direction! 6. Express your opinions and share your knowledge. If you keep what you know close to your vest you undermine the ability of everyone to make a good decision, you role model that the process isn’t fully trustworthy and neither are the people involved. Remember your actions speak louder than your words. 7. List commonalities and differences. It’s amazing how often people struggle over principles they already all agree on because they didn’t take time to recognize the agreement. If you clarify where there are differences and where you agree then you can begin gathering information to move towards a mutual solution. 8. Apply divergent thinking. Be willing to listen to other people’s perspectives even though they may be very different from yours. At attitude of curiosity will be helpful. 9. Be appreciative. Keep noticing what works and through this positive process explore what seems to be off-center, to just not work. Explore these inconsistencies with curiosity to find points of agreement. 10. Make decision(s). At this point everyone comes to a convergent answer and agrees to support the one answer. Before you sign off though, apply some hearty reality testing. Future pace by imaging it’s sometime in the future and you’re observing how well the decision works. Is anything askew? Did you take on too much at once? Does anything else need adjusting? If so make the changes now. How was your 2012? What are you seeking for your personal success indicators in 2013? To gain a viable answer hold an internal conversation between your ideal self (how you would most like to live) and your real self (how you really live) and develop an authentic structure to your goals. Authentic success integrates these two parts into a happier and more successful you. Our article was so well received in earlier years as a way to frame moving into the New Year, that it’s back by popular demand. Authentic success begets peace of mind because you are living and working in accordance with your values, strengths, and your sense of purpose instead of living in conflict. Reaching this highly desired state requires personal awareness. Without it you will be missing the joy from your current wealth by only focusing on what hasn’t happened. Happiness and optimism, both components of emotional intelligence, are vital to experiencing authentic success. The following 10 Actions are based on years of research in the fields of emotional intelligence and positive psychology and set forth choices you can make to change the quality of your life in 2013. Action: Happiness is closely tied to being aware of what success truly means for you. Write your own definition of what Authentic Success means to you and intend to live in synch with your truth about Authentic Success in 2013. There is nothing wrong with me that what is right with me can’t fix! In this final week of October we will wrap up our discussion on Collaborative Intelligence (CQ, CI). In the previous two blogs we evaluated motivation, team identity, emotional awareness, and communication. These are skills and behaviors that successful teams seek out when improving CQ. The circle isn’t complete without these final three. In this blog stress tolerance, conflict resolution, a positive mood are examined. Stress tolerance is the skill of holding the world’s parade of unpleasant surprises at bay. Using other skills such as emotional awareness, conflict resolution, and communication will allow a group to deal with stress earlier in the development and thus make it more manageable. Dealing with adversity and turning challenges into opportunities is the best outcome of stress tolerance. Conflict resolution is the process employed by individuals and teams facing confrontation. What team do in the face of adversity can define the group. when you’re willing to entertain change and conflict, giving up much of the illusion that you’re in control, you and your team can actually find powerful new levels of success. One attribute that can effect conflict resolution and stress tolerance is a Positive Mood. Optimism and simple happiness have a lot to do with this type of attitude. As a leader, when people look to you during adversity and you can reflect a positive mood the results are exponential. These skills and behaviors are the first steps needed to raise the collaborative intelligence of a group. When analyzing a group be sure to recognize your own deeds first. Leading by example has always been the most effective way to create a positive a environment. On the last post we began discussing what it takes to enhance a team’s collaborative intelligence (CQ, CI). On that post we discussed motivation and team identity. On this post we will highlight emotional awareness and communication as fundamental skills in developing with a team’s collaboration. Emotional awareness is one of the most underutilized of the qualities. Emotions are a rich resource of data and good data leads to good decisions. Understanding emotions improves performance, which drives results. What makes communication effective is a vast topic; it is the everyday infrastructure that defines our career paths and our most cherished relationships. For a collaboration to be brought to its fullest potential all the participants have to have the ability to relate and respond to their ideas and observations. Life's 2% Solution Fully integrating your professional and personal selves.